A review of ‘Sewing Your Dream Wardrobe’ by Athina Kakou. If ‘Me Made May’ has taught me anything, it is that my handmade wardrobe is huge, lovely, but isn’t very well planned and often doesn’t work together. For those not familiar, #mmmay18 is an Instagram challenge which offers you the opportunity to wear handmade clothes during the month and possibly use it as a chance to evaluate your me-made wardrobe during this time to see how it can be improved. 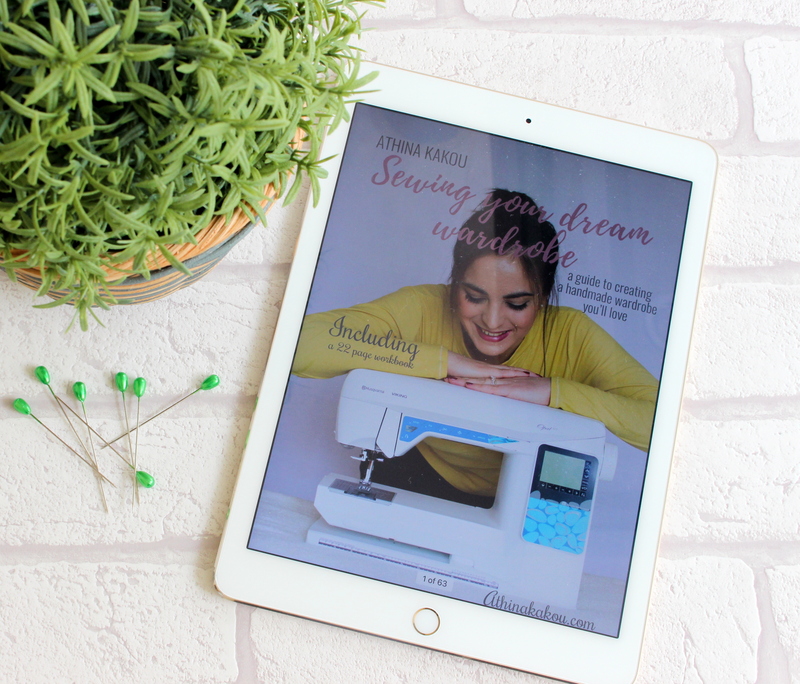 As if by magic, during this month the lovely Athina Kakou approached me and asked if I would be interested in taking a look at her e-book ‘Sewing Your Dream Wardrobe – a guide to creating a handmade wardrobe you’ll love’. The timing could not have been better. Athina’s book basically takes you through the process of creating a wardrobe that works for you, your lifestyle, and that you will love! I’m hoping that sometime soon I will be able to throw open my wardrobe doors and find a whole collection of pieces that I can mix and match and eliminate that ‘head scratching’ dilemma that I have ‘nothing to wear’. The e-book contains 5 simple chapters taking you through ways to curate your closet, putting those ideas into place, lots of helpful tips and tricks for better and mindful sewing, and some examples of how Athina has put together wardrobe collections for herself using this guide. There is also a chapter dedicated to your maternity wardrobe which has been written by Athina’s great friend and business partner Hattie van der Krohn. Chapter 1 and 2 made me realise that I have a ton of pretty clothes that I have made, but am really lacking in basic staples – the foundation that we can build a more wearable wardrobe from. I struggle to buy simple solid colours (as I am like a magpie and am always distracted by pretty patterns – usually florals), but have recognised that in order to tie my wardrobe together, particularly with my separates, I need to focus a little on this area. I am determined to try to do this. The e-book also comes with a workbook which I used to help me when sorting out my wardrobe. Take a breath before I show you below what I have cleared out of my RTW wardrobe, a mixture of charity donations and maybe eBay listings will be the result of this clear out. Eek! This lot has got to go! Using the workbook allowed me to identify why I didn’t need these items anymore, to try to identify my personal style and gather inspiration for more wearable replacements. It’s genius! After I have finished with my RTW wardrobe I will then move on to my handmade wardrobe and do the same thing. I loved chapter 3. 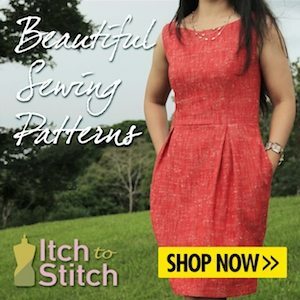 This is packed full of tips and tricks to make your sewing process simpler, more cost effective and a better experience all round. There is a great deal to be said for slowing down and enjoying the process, and combining this with saving money and making the most of what you’ve got is a recipe for success. The book is an easy read, Athina’s writing style is fun and encouraging and has certainly motivated me to change my sewing habits. It’s a book that you can pick up and put down whenever you like, and the colourful photographs throughout make it colourful and enjoyable to look at. Reading it felt like I was having a conversation with a sewing friend who knew exactly how to gently guide me through a more organised sewing situation. I am very lucky to be able to offer you a discount code on the ‘Sewing Your Dream Wardrobe’ e-book. Athina is offering my readers a 20% discount on the book by using the code SEWDAINTY and this is valid for one week from today. The usual price is 15 euros, so with this discount you will be able to purchase it for 12 euros. If you head on over to Athina’s website, you can find the link in her shop. I’m quite sure that many of you will know of Athina, as she is an incredibly busy lady! Also available on her website is her PDF download – ‘My Sewing Planner’ which is an incredibly useful planner in it’s own right, but something that I have been using alongside the e-book. I am going to be SO organised from now on you wouldn’t believe it! Athina is also a co-host of the #smyly2018 challenge which she ran with Hattie and Lisa, which was hugely successful and has now lead on to the release of the smyly magazine! There is no stopping this talented lady and her sewing friends! I hope that this review has been helpful to you. 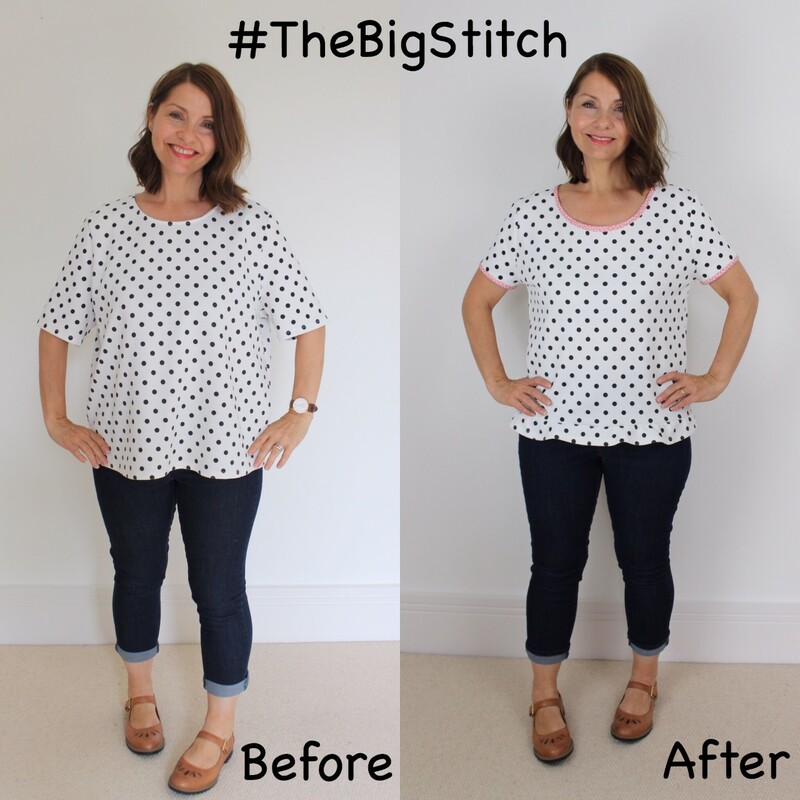 I think that especially now as we transition into Summer it is the perfect time to take a look at your wardrobe, sewing habits and how they can be improved. Thank you so very much to Athina for sending me the PDF downloads, I feel that my sewing journey will be a great deal more organised and relevant in the future!